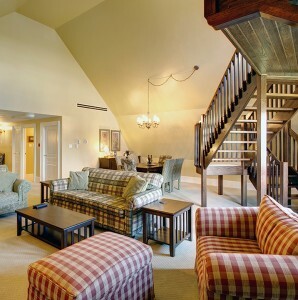 The Main Lodge offers 32 guestrooms and two luxury two-bedroom suites, featuring beautiful craftsmanship, with crown moldings, old growth hardwood floors and luxurious linens. Rooms are complemented with contemporary furnishings and stunning views of the pristine surroundings. Four of our guestrooms transform into junior suites. 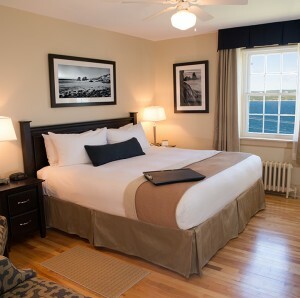 Our authentic two luxury two-bedroom suites are designed to accentuate the views of the stunning North Bay from the bedrooms while enjoying beautiful views of the South Bay and Cape Smokey from the living rooms. Guests in these suites enjoy two bedrooms with king size beds, two and a half baths, spacious living and dining rooms, with look-out lofts.